Today, Sales will engage with a prospect by utilizing a script-driven interview. The response data the prospect supplies will guide the interview questions toward an understanding of the prospect’s specific needs. From this data, CPQ will create a product configuration that exactly matches the prospect’s needs. Business intelligence is derived from raw data, and smart apps like CPQ and CRM can help with the process of extracting, formatting and delivering business intelligence from this data. Everyone remembers the childhood story of Rumpelstiltskin. Who wouldn’t want to be able to spin straw into gold? Transforming mountains of raw data into useful business intelligence is frequently perceived as a similarly mysterious, but equally rewarding process. The transition of turning raw data into useful intelligence requires neither magic nor ill-tempered little guys stamping their feet. The supply of data is vast, and it originates from many sources. More products are equipped with onboard sensors that track and report performance and status data, which is communicated back to users and manufacturers, where it is collected and stored in vast repositories. At that point, the data is magically turned into the “gold” of business intelligence. The process is actually a little more complicated, but the end-result can be likened to gold in terms of potential value. The sheer volume of data generated today is staggering. A recent piece in Forbes by contributor Bernard Marr, quantifies the daily creation of data at 2.5 quintillion bytes. That number is impossible to visualize, so consider this: 90 percent of the world’s data was created over the last two years. In our personal lives, this vast amount of data is evidenced in our social media, communication technologies and news-reporting resources. Most of us understand the need to filter what we read, weigh the sources of information presented to us and attach some level of confidence to that information. This is what the “fake news” discussion is all about. Similarly, evaluating the validity of data is a big part of what businesses must do before they utilize it. There are two very different but equally important processes to help businesses turn that huge mountain of straw into gold. It is important that the differences between these two processes are understood. Rahul Sharma authored a wonderful comparison between data analytics and business intelligence on the TechGenix website in May of 2018. Data analytics is the province of information professionals or data scientists. They utilize all manner of sophisticated tools to accomplish their goals. First among these is the normalization or cleansing of raw data. Raw data must be verified, organized and classified into some kind of hierarchical structure that makes it searchable, comparable and generally useful. Once this process is completed, data is mined to answer specific questions, most typically in the mode of predictive analytics. More simply put, real-time data is analyzed to determine what might happen in the future regarding some specific issue. BI uses data that has already been through the cleansing and conversion elements associated with data analytics to inform decision-making processes within the enterprise. Structured data, many times stored or warehoused internally or through an external service, is accessed by people and smart applications such as CRM, CPQ, marketing-automation tools and assorted back-office functionalities. This data is found on dashboards, populating performance reports or other monitoring applications. The applications sort, filter and manipulate that data to drive decisions regarding recommended courses of action on the part of the business unit involved or the enterprise as a whole. There is much speculation about how data-savvy sales reps will have to be in order to successfully operate in the data-powered enterprise. After all, won’t they have to be able to dig through that mountain of dirt and discern where the gold is? The answer is, not so much. The heavy lifting is accomplished at the data analytics level, and later within the business intelligence functionality, built into the applications that salespeople already use. This technology handles most of the detail associated with product, pricing and the application of the product to a given need. Salespeople of the past had to rely on rote memory or carry around vast collections of three-ring binders that contained product memos and price lists in order to engage in a sales conversation with a prospect. Itemized pricing, the required bill of material as well as the actual order information are automatically generated. 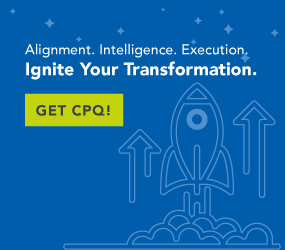 For large-scale transactions, CPQ will even automate the creation of proposal documents. Sales and Marketing rely on accurate prospect and customer data within their CRM systems. The business intelligence capabilities within CRM access data from all manner of sources including Lexis Nexis, Hoovers/D&B and other commercial data repositories to create lists for use in campaigns and sales-territory assignments. Campaigns have greater success when their focus is more tightly defined. Utilizing data related to industrial classification, annual revenue, geographical footprint, contact data and other factors, CRM and marketing-automation software will clamp down on the list population to ensure that everyone included on the list is indeed qualified as a campaign prospect. Sales reps, marketing managers and sales managers will all benefit from the increased sophistication of business-intelligence-driven applications. While becoming data-savvy is a responsibility we all have, both as citizens and working professionals, technology frees us from having to become data scientists in order to perform our jobs. Smart apps such as CPQ and CRM are two examples of how we can exploit the data explosion and turn straw into gold.